There were a number of well-known, fashion trendsetters in the Old West. There were a number of well-known, fashion trendsetters in the Old West. These four ladies had the most coveted look west of the Mississippi. With her voluptuous figure, high plumed hats and bejeweled gowns, Lillian Russell was the talk of the fashion world in the Gay Nineties. Onstage, she dared to wear purple tights and calf-high dresses that showed her naked ankles. Offstage, she was a meticulous dresser, adorned in diamonds and lace taffeta outfits. She was considered to be the ideal female of her generation, representing all that was glamorous. Amelia Jenks Bloomer was a newspaper editor, public speaker, and proponent of women’s rights and other social reform. She did not design the then-daring outfit that carried her name – a short dress that reaches below the knees with frilled Turkish-style trousers gathered in ruffles at the ankles. She did promote the costume, wore it herself, and watched it become a symbol of the fledgling women’s movement. 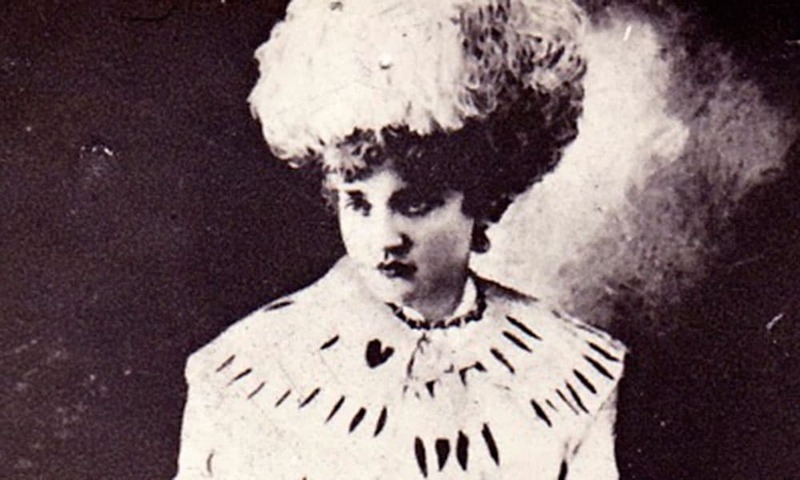 Colorado socialite Elizabeth Tabor had golden hair, blue eyes, porcelain skin, and a sense of style that rivaled that of any woman in Leadville. She arrived married to a struggling miner but dressed like she was the belle of the ball. She paraded down the main street of town wearing a sapphire-blue costume with dyed-to-match shoes. Her stunning style caught the attention not only of neighbors and storekeepers but also of millionaire Horace Tabor. Horace and Elizabeth scandalized the community by falling in love, divorcing their spouses, and marrying one another. Horace showered his new bride with jewels and the finest outfits from Boston and Paris. She wore one-of-a-kind outfits to opening nights at the opera house he had built for her. All eyes were on the young Mrs. Tabor as Horace escorted his young bride into the theatre. Her dresses were made of Damasse silk, complete with a flowing train made of brocaded satin. The material around the arms was fringed with amber beads. The look was topped off with an ermine opera cloak and muff. Pictures of the Tabors appeared in the most-read newspapers, and soon, women from San Francisco to New York copied the outfit. The only part of the costume admirers were unable to reproduce to their satisfaction was Mrs. Tabor’s $90,000 diamond necklace. Annie Oakley’s ability with a gun made her famous, but she also had a glowing reputation as a seamstress. A young Annie was taught how to sew while living and working at an Ohio country home. Her teacher, Mrs. Ira Eddington, recognized her talent for knitting and stitching, and encourage the sharpshooter to make clothing for children and the elderly. Throughout her life, Annie Oakley made most of the garments she wore. She designed the costumes she wore in Buffalo Bill’s Wild West Show, and sewed the detailed embroidery that lined the sleeves, bodice, and hem of each outfit. One of the simplest styles Annie wore was one of the easiest to replicate. It was a five-gore skirt and jacket made from a beige woven poplin or broadcloth. The skirt was sewn together by matching notches on the pattern. The hemming and trim were applied before sewing up the back seam. The waistline was gathered and sewn on to the waistband, which was double lengthwise. The jacket pattern consisted of a front, back, and sleeve, plus neck facing that was cut from the front and back patterns. The shoulder seams were sewn first, the neck facing followed, then the sleeves and hem were gathered. The back facing at the jacket center front was then folded back and buttons and snaps were applied.